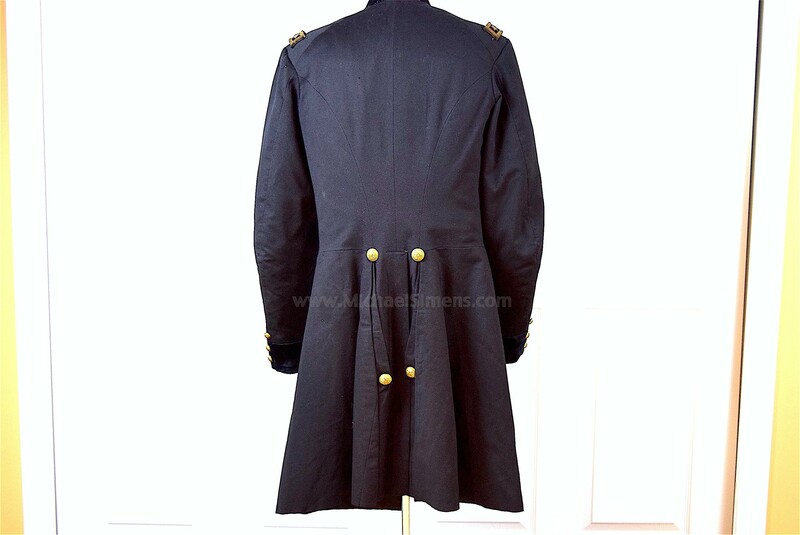 This Frock Coat was owned by Major General John B. McIntosh and he is pictured all over the internet wearing it. McIntosh was born in Tampa, Fla. June 6, 1829. He entered the United States navy as midshipman in 1848 an resigned in 1850. 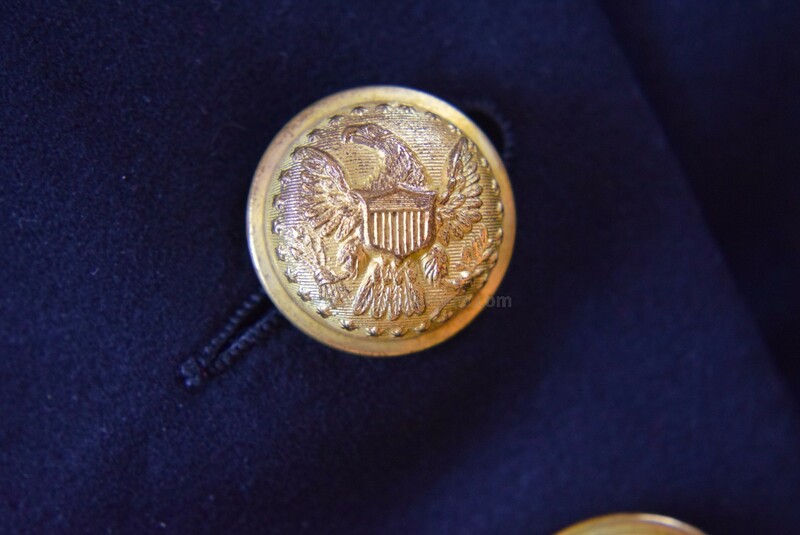 In 1861 he entered the United States army, being appointed 2nd lieutenant, 2nd cavalry, on June 8 of that year. 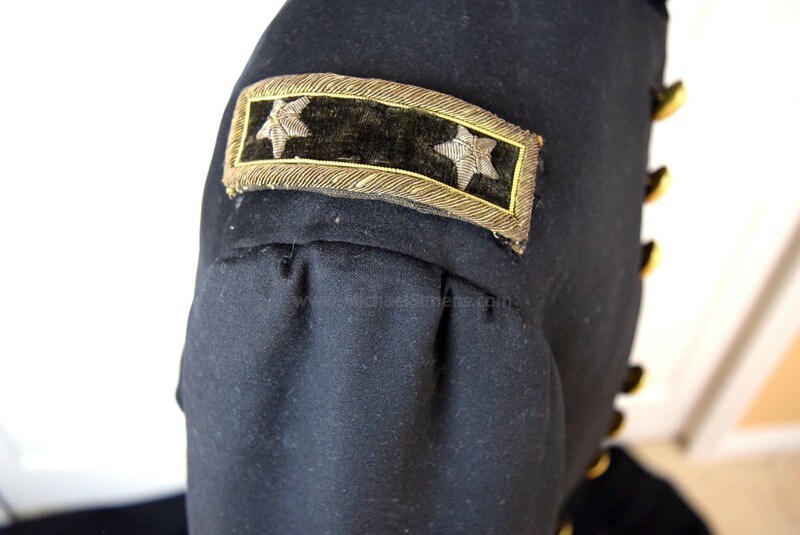 He was transferred to the 5th cavalry, Aug. 3, 1861; promoted 1st lieutenant June 27, 1862, and captain Dec. 7, 1863. He served in the Shenandoah valley and in the defenses of Washington and subsequently in the operations of the Army of the Potomac on the Peninsula, and was brevetted major Aug. 5, 1862, for gallant and meritorious services in the battle of White Oak Swamp. He served under McClellan at South Mountain and Antietam, became colonel of the 3d Penn. 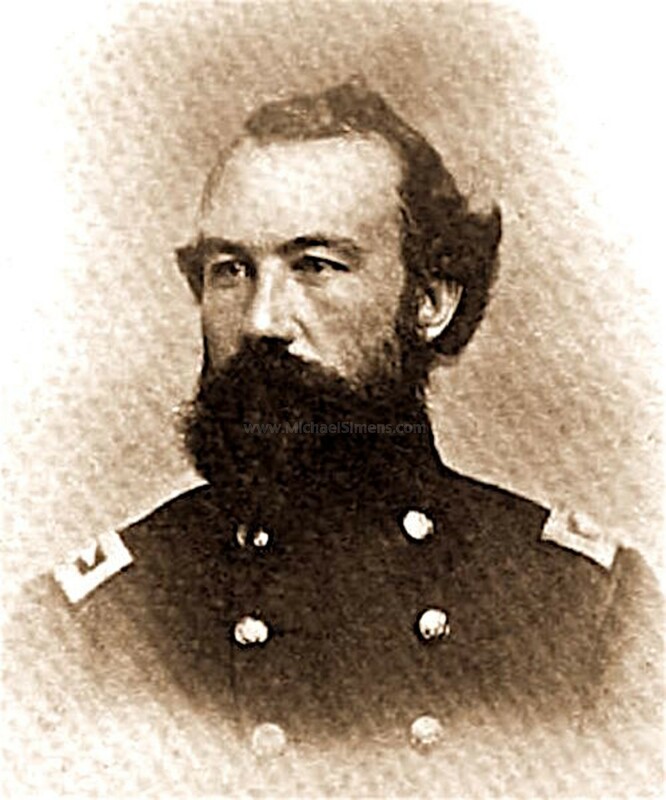 cavalry on Nov. I5, 1862, and commanded a brigade in the Chancellorsville campaign and at Gettysburg, where he won the brevet of lieutenant-colonel for gallantry. He was severely injured by a fall of his horse in Sept., 1863. He commanded a brigade in Grant's campaign against Richmond, taking part in Sheridan's raid at Trevilian Station, May and June, 1864, including the battle of Ashland on June 1, for which he was brevetted colonel and given a commission as brigadier-general of volunteers. He lost his leg at the battle of Opequan, or Winchester, Sept. 19, 1864, and on his recovery he was placed on court-martial duty. 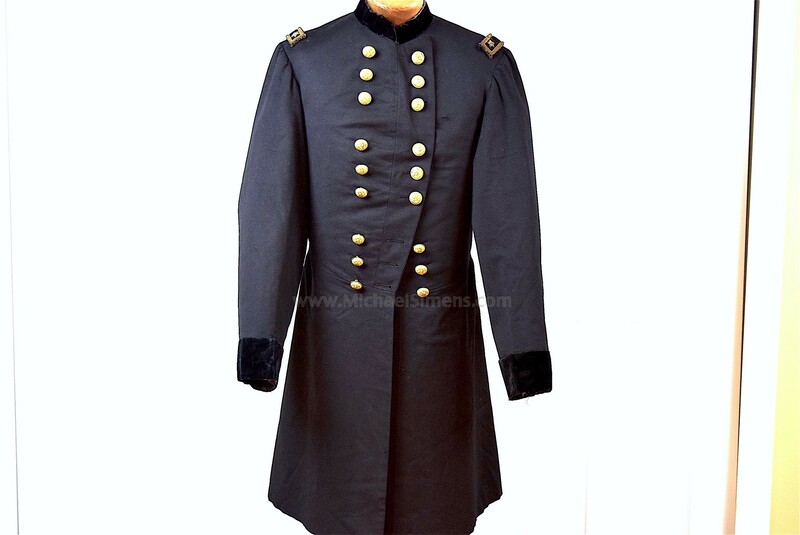 On March 13, 1865, he was brevetted brigadier-general for gallant and meritorious services in the battle of Winchester, major-general U. S. A. for gallant and meritorious services in the field during the war, and major-general of volunteers for distinguished gallantry and good management at the battle of Opequan. He was mustered out of the volunteer service April 30, 1866, and was made lieutenant-colonel of the 42nd infantry on July 28 of that year. He was governor of the Soldiers' Home, Washington, D. C., 1868-69, served as a member of the retiring board of New York city, and was retired with the rank of brigadier-general July 30, 1870. He died in New Brunswick, N. J., June 29, 1888. 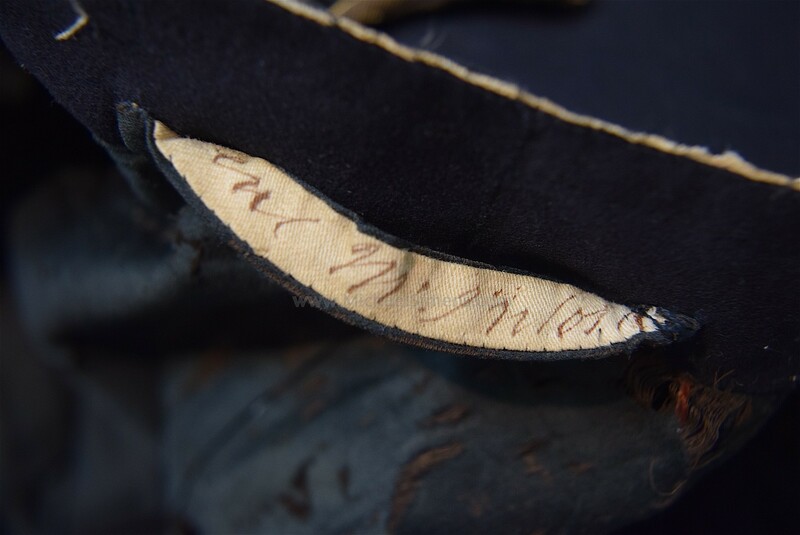 The coat is in wonderful condition and has his name in brown ink on its collar tailor tag. 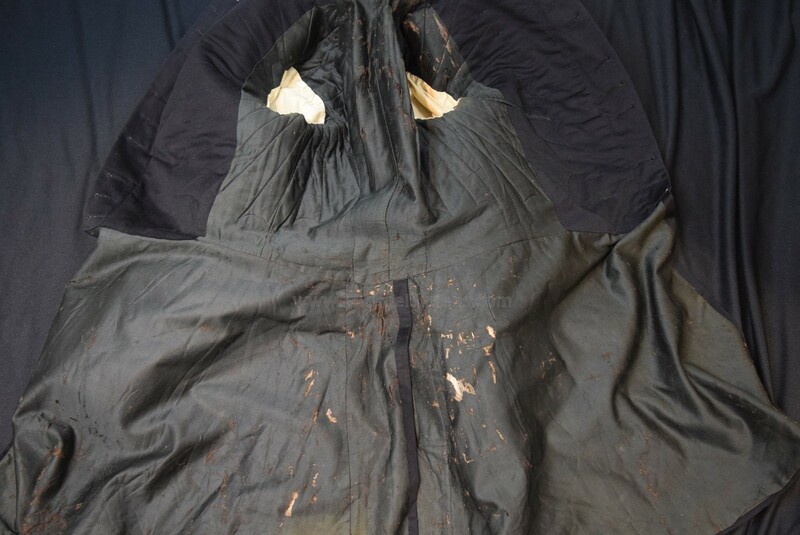 If you are a Civil War Artifact Dealer, there is still profit in this coat at my very reasonable price. If you're collector, don't wait too long to call me.